One day you're being thrown in jail and threatened with death; the next, you're being released and celebrated. This was the overnight transformation Christians experienced in 313 AD when Constantine the Great legalized Christianity in the Roman empire with the Edict of Milan. As such, the triumphal Arch of Constantine commemorates not only the victory of Constantine over Maxentius, but symbolizes the first sanctioning of Christianity in the civilized world. The Arch itself sits in the piazza between the Colosseum and the Roman Forum. 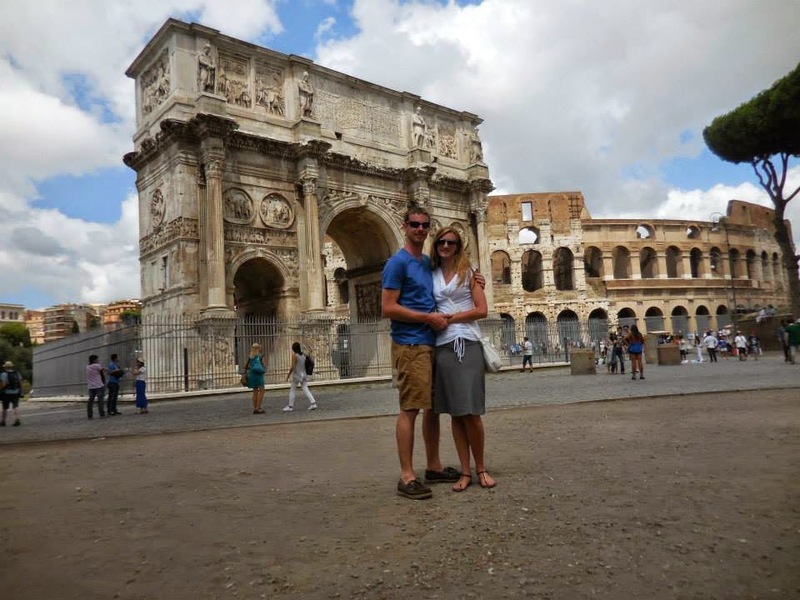 Even for visitors on the most shoe-string of budgets, the Arch of Constantine is a must-see: it's free! Enjoy views of the Arch from all sides and admire its juxtaposition against the backdrop of the Colosseum. 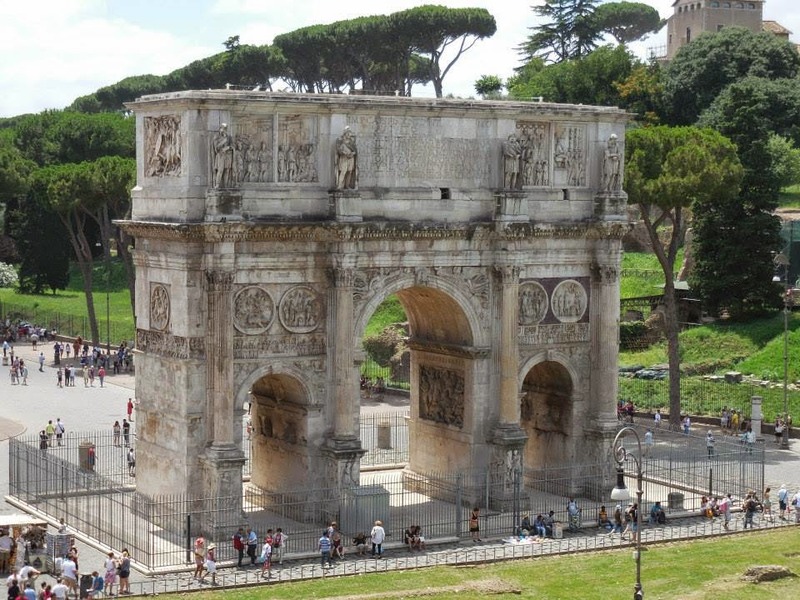 Have you seen the Arch of Constantine? Accessibility: Located immediately next to the Colosseum and accessible from the Colosseo stop on Rome's Line B metro. Money-Saving Tips: Picnicking at famous sites is technically prohibited, but if you're discrete, you probably won't be bothered. There are food trucks which sell cheaply-made but not wholly unappetizing paninis, pizzas, and various drinks. Although it's not the best meal you'd find in Rome, it's convenient if you're short on time. Ok, thats an awesome photo! They should put a sign there so people know to take a photo there to get the coliseum too! lovely photo! when we went last year it was under scaffolding, but this year we got to see it two days after they finished what they were doing! That's awesome! I wish the Trevi Fountain hadn't been under scaffolding; that was the biggest disappointment of our trip. I love the backdrop! I didn't even know there was an arch like that next to the colosseum! Wow I have never heard of this place. It's beautiful! Isn't it?! And if you go to visit the Colosseum, it's hard to miss since it's right there! Although it did look like quite a few tourists walked from the Colosseum straight to the Roman Forum without even noticing it!